The first major snowstorm of the season is over and now we're seeing just how much snow it dumped across California. This view from the Sentinel Dome in Yosemite National Park showed a lot of snow. 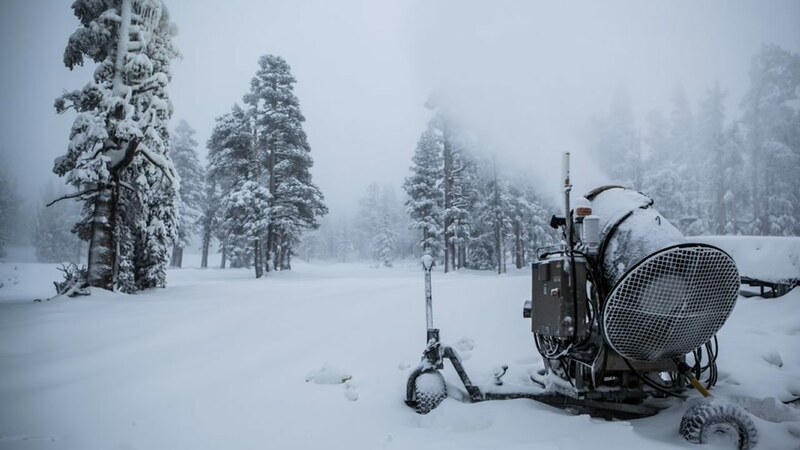 Mammoth Mountain Resort in Southern California tweeted they got as much as 30 inches of snow on Monday and now they're planning to open for the season on Thursday. Kirkwood Mountain Resort tweeted great photos of the snowfall, saying they got as much as 18 inches of snow Monday. And Heavenly tweeted a photo on Tuesday showing their snow making in high gear. Want to know when the next storm will be? Click here to watch the ABC7 News AccuWeather Forecast. Plan on taking a trip to the snow? Share your photos and videos on Twitter, Instagram, or Facebook by tagging them #abc7now!